​Real Madrid may not be interested in signing Adrien Rabiot after all, despite reports from France that they have already verbally agreed a deal to sign him this summer. Barcelona were initially touted as his most likely next destination, with talk of a ​pre-contract agreement rumoured back in February. However, Barça interest in Rabiot has since gone cold, with most speculating that the signing of Frenkie de Jong has negated the need for the Frenchman, who would reportedly demand ​wages of around €10m-a-year at his next club. Almost all of the ​Premier League's 'big six' have been mooted for Rabiot (with differing levels of credibility) but in recent days Barça's great rivals ​Real Madrid appeared as frontrunners for his signing. 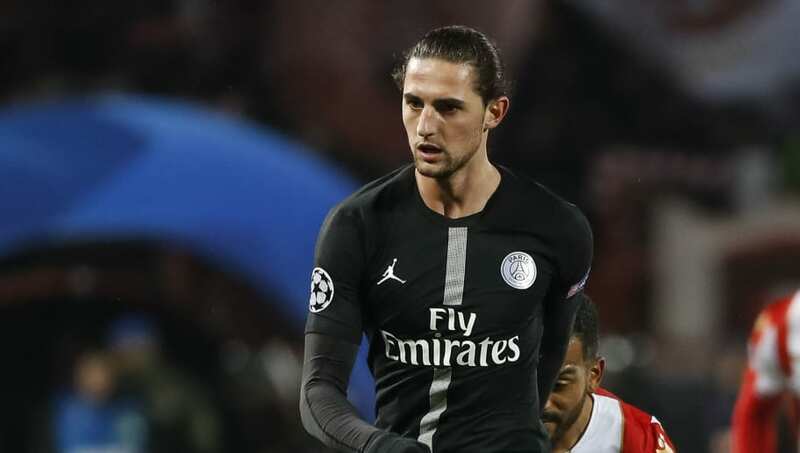 ​Catalan outlet SPORT suggested last week that Rabiot was on the brink of a deal with Madrid, before journalist Geoffroy Garetier, speaking on ​Late Football Club on Canal+, on Wednesday claimed there is a 'verbal agreement' between the player, his representatives and the 13-time European champions. However, after that report was widely picked up on Thursday morning, Madrid-based ​Marca weighed in to deny those suggestions, claiming even that Real Madrid are 'not interested' in the player. In addition, Rabiot's well-publicised disciplinary issues are cause for concern. The midfielder was frozen out from the France international team after refusing to be on the standby list for the World Cup and is also ​facing disciplinary action from PSG for going clubbing the night the club were dramatically knocked out of the Champions League by Manchester United.